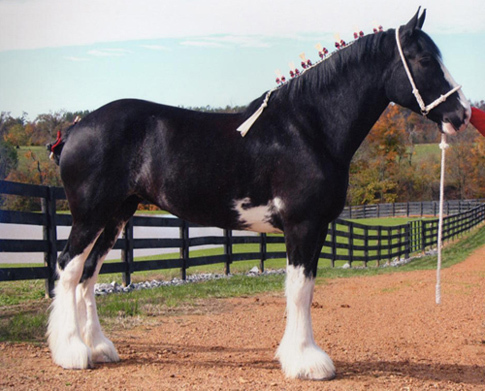 The Clydesdale is a breed of heavy draft horse developed in the early 19th century in the Lanarkshire district of Scotland, around the Clyde River. 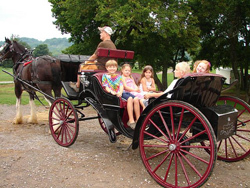 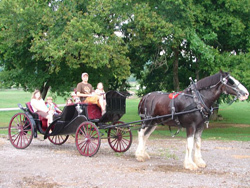 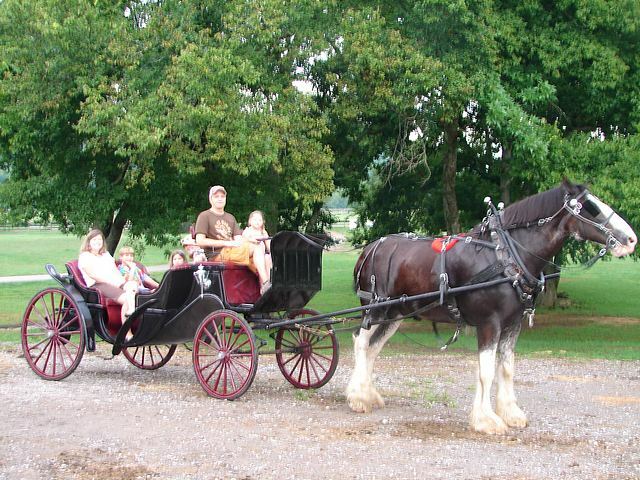 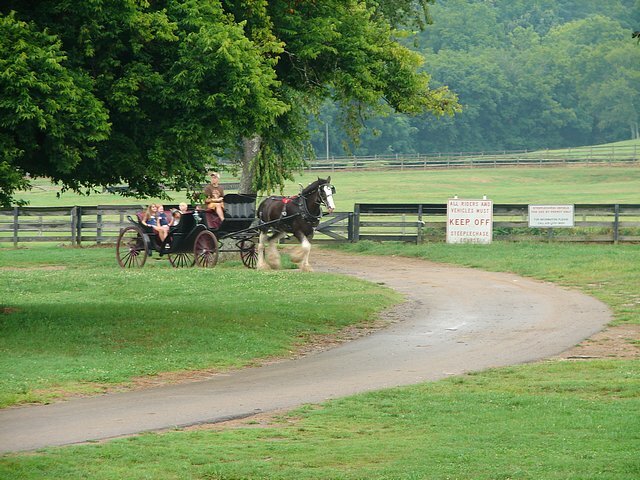 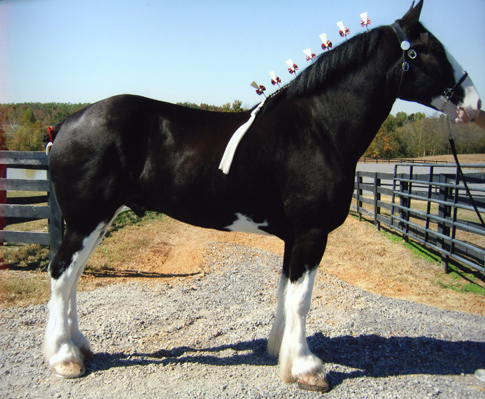 The horse was bred to meet both the agriculture needs as well as for use in the coalfields and other types of heavy haulage in the streets in the region. 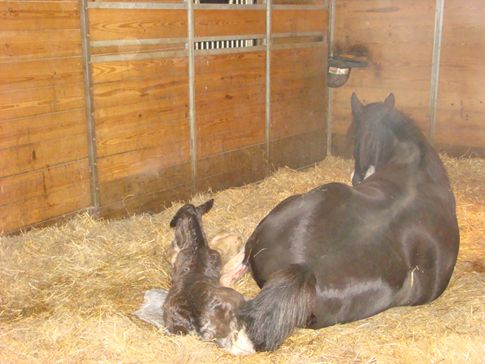 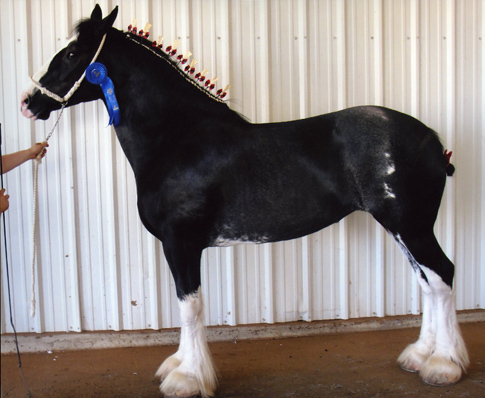 Local mares with the “sabino” coloration were bred with black Flemish stallions. 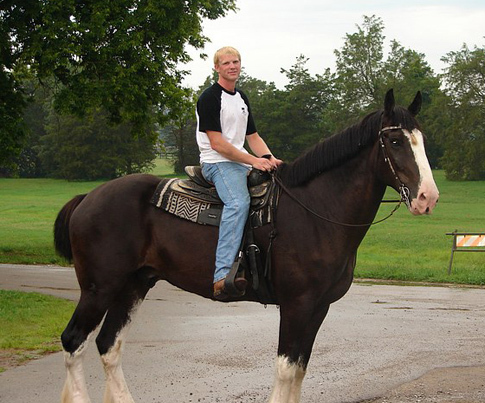 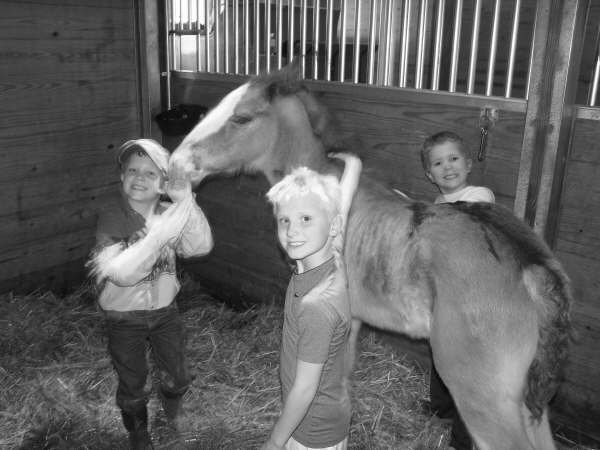 Sabino is a white pinto pattern that produces tall white legs, generally from knee down, an excessively white face, and a white spot on the belly. 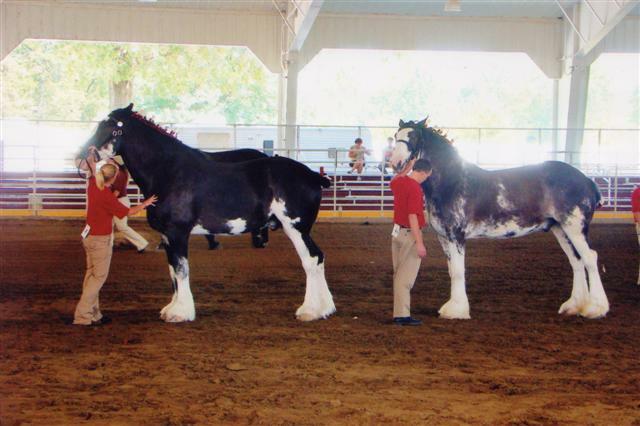 Clydesdales are leaner than many draft breeds. 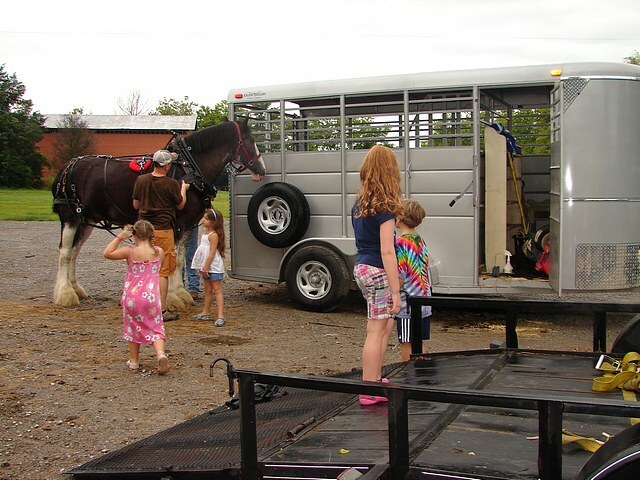 The size will range from 16 to 19 H and weight from 1,600 to 2,200 pounds. 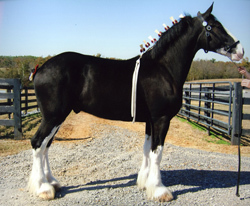 The breed was imported into the United States in the 1800s. 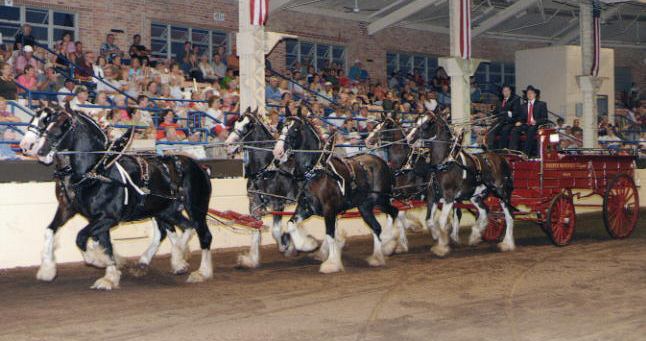 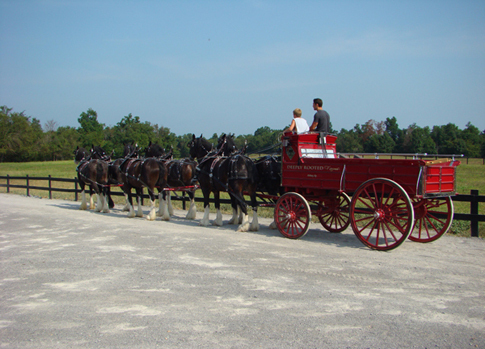 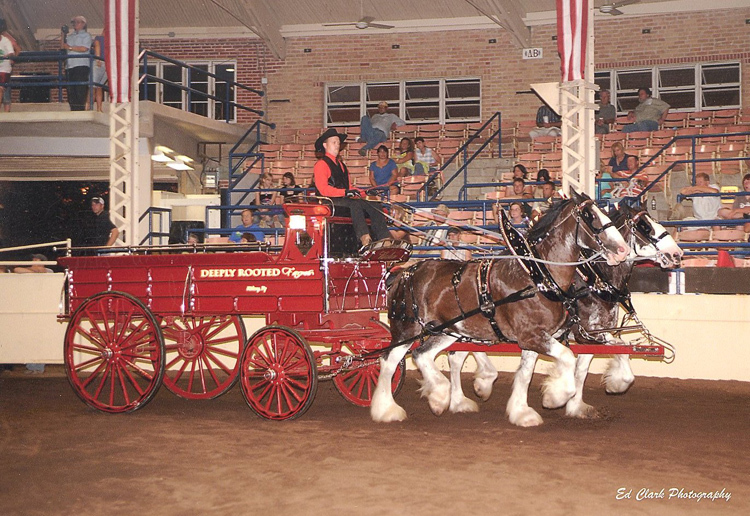 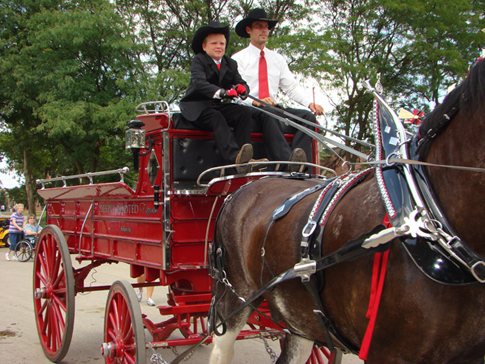 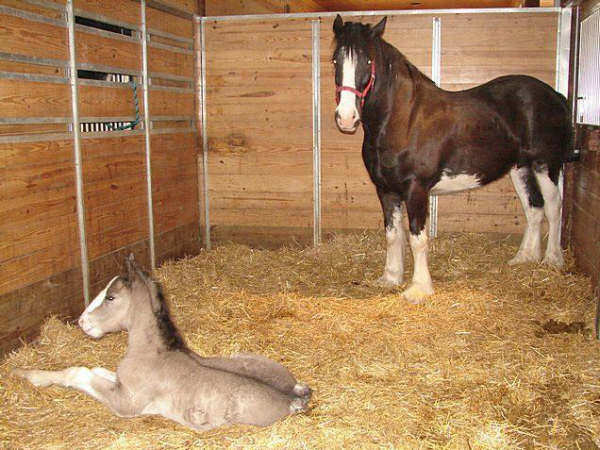 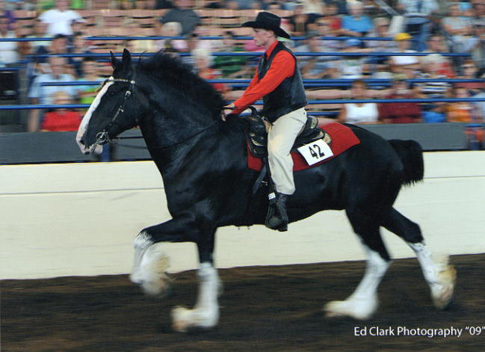 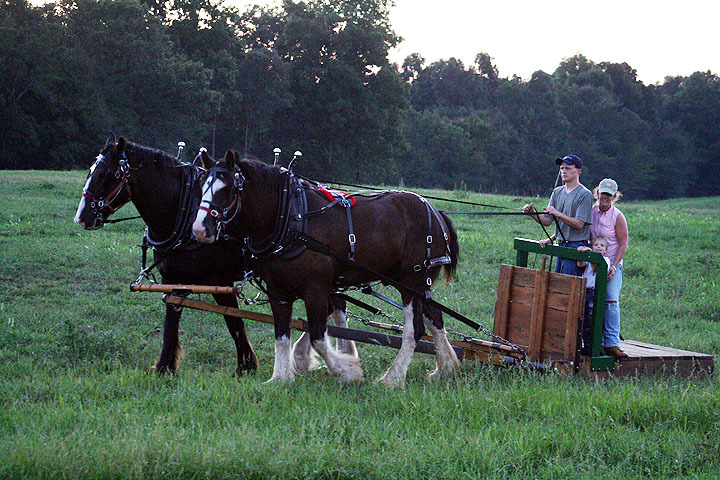 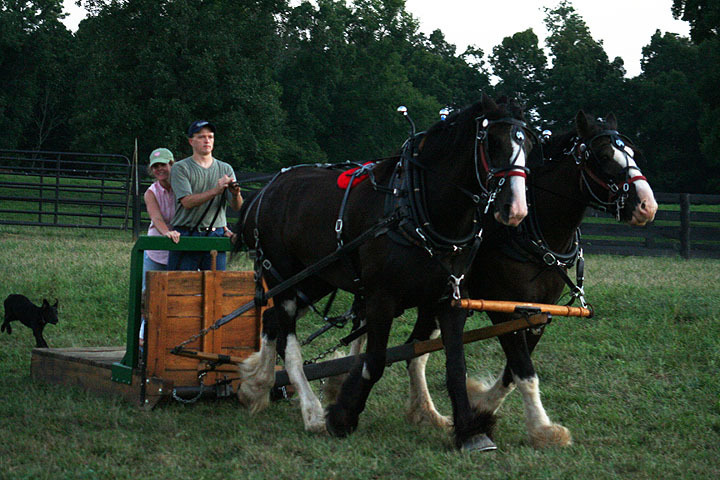 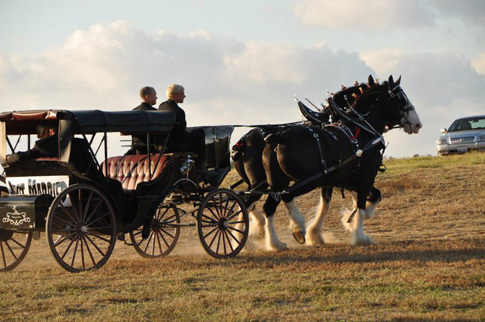 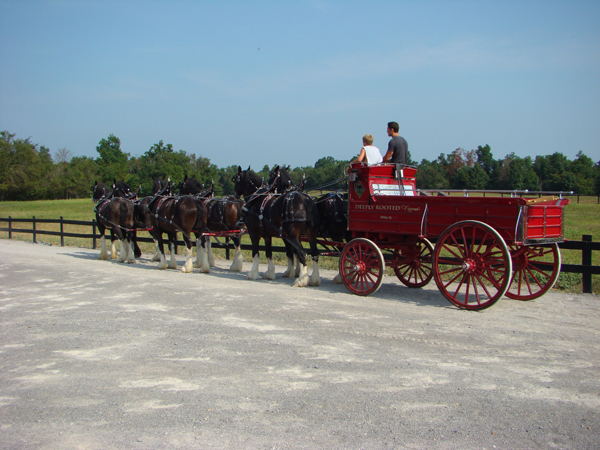 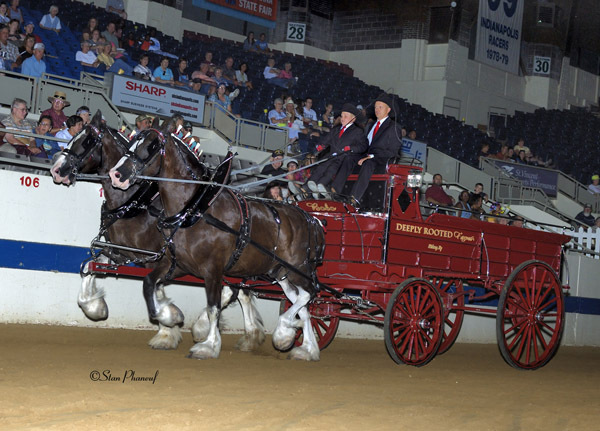 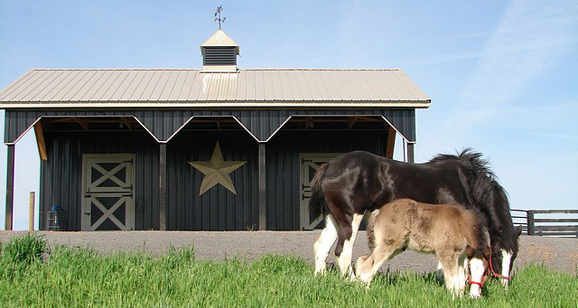 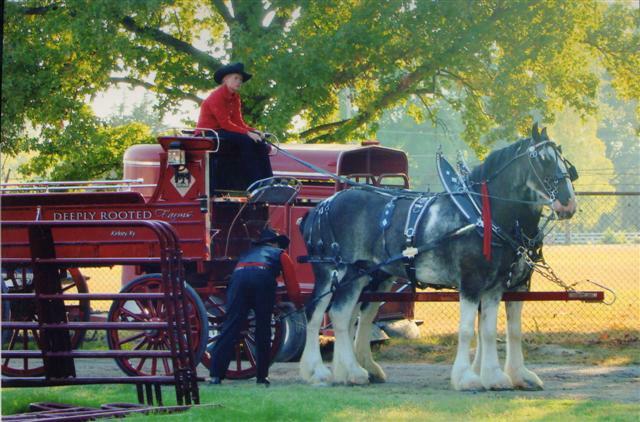 In the early 1900s, the breed was fortunate to have been chosen by August Busch, Jr. as a gift to his father, a partner in the beer company Anheuser-Busch, a 6-horse team of Clydesdales. 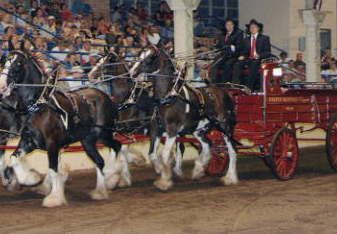 A team of Clydesdales publically delivered a case of Budweiser beer to President Roosevelt at the White House when prohibition was repealed. 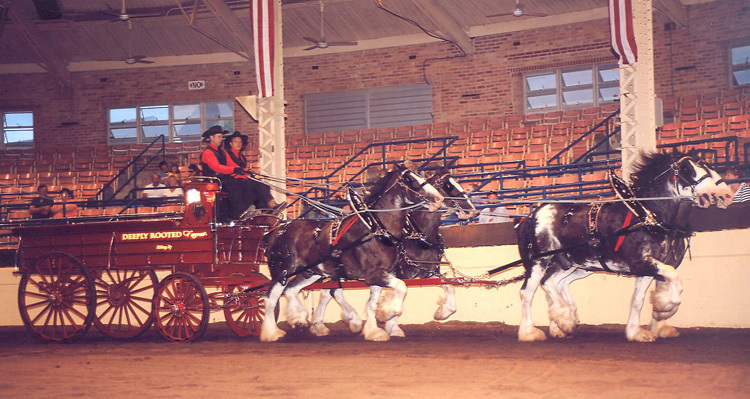 They soon became the corporate trademark of Anheuser-Busch. 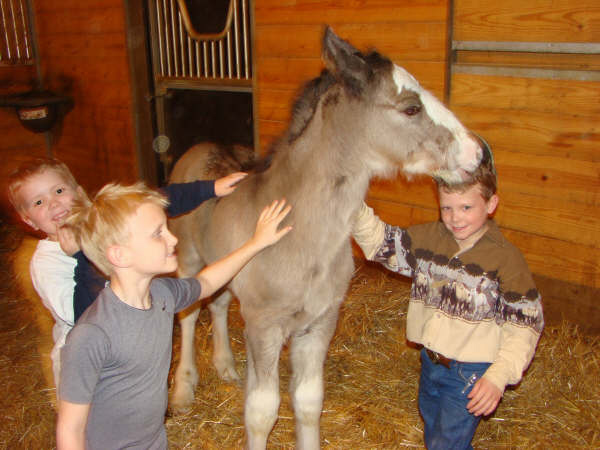 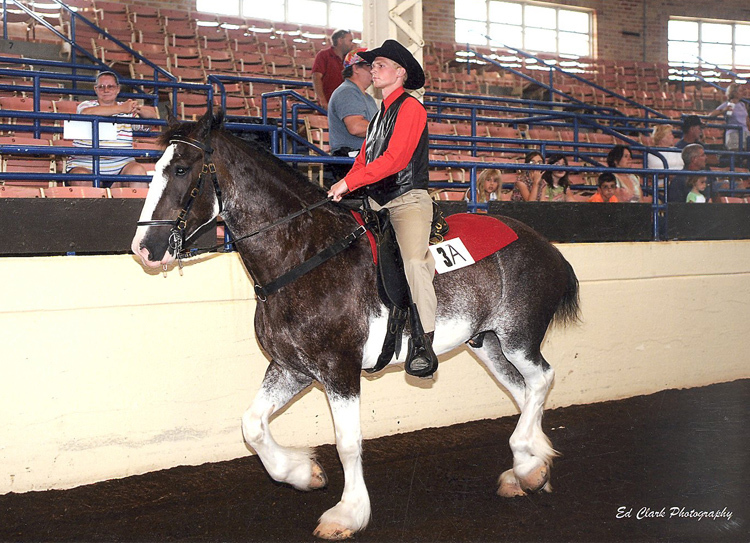 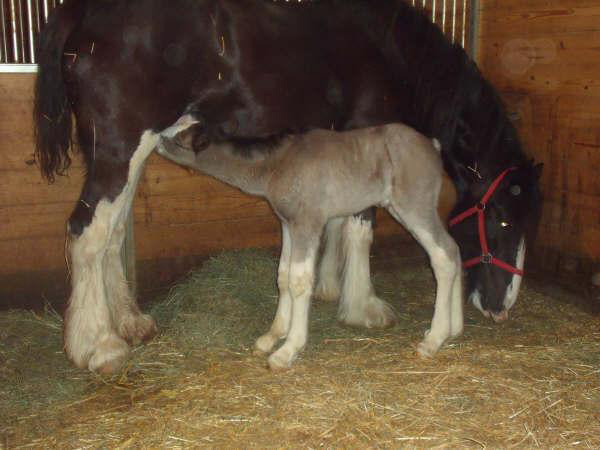 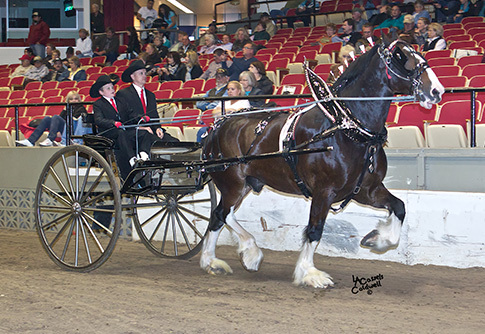 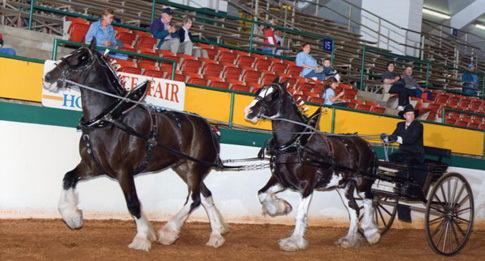 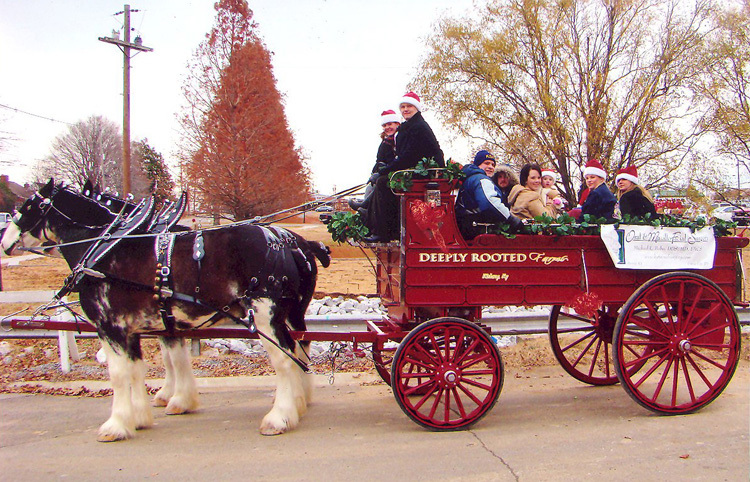 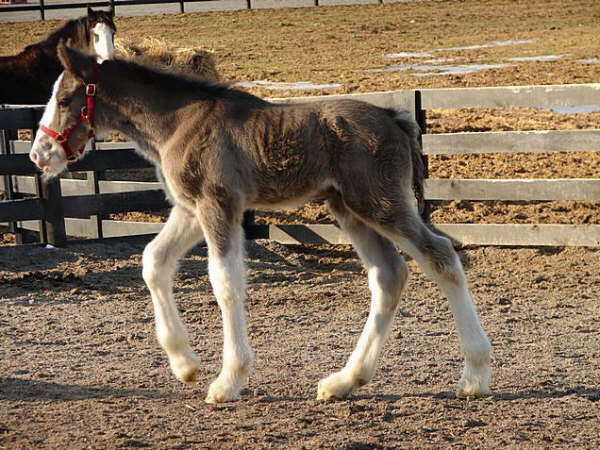 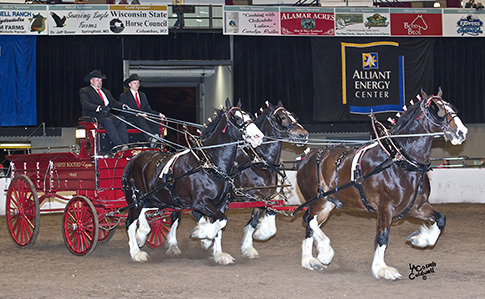 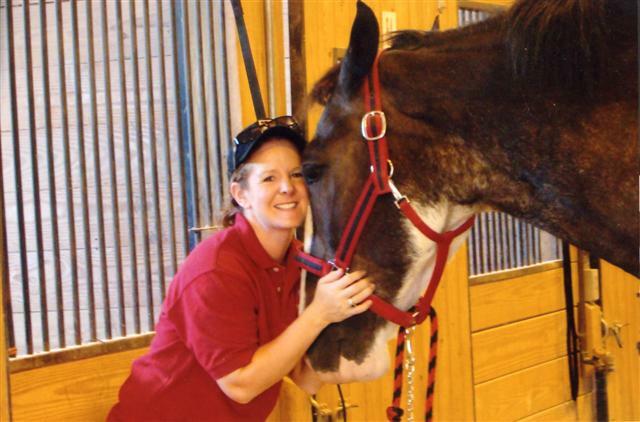 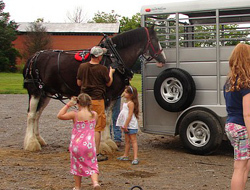 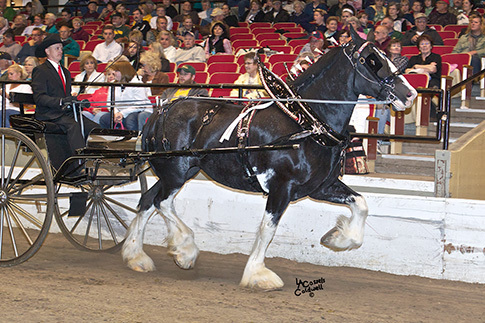 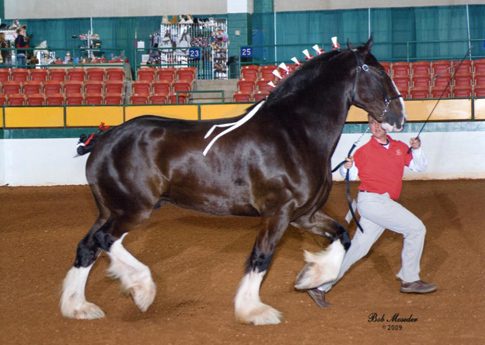 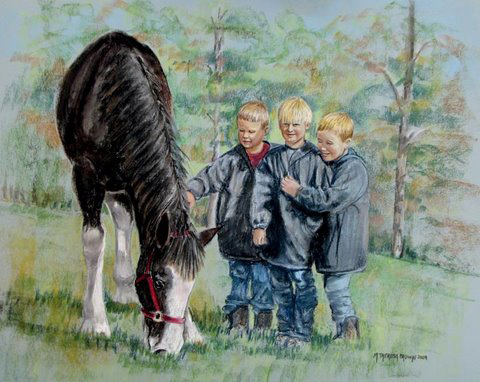 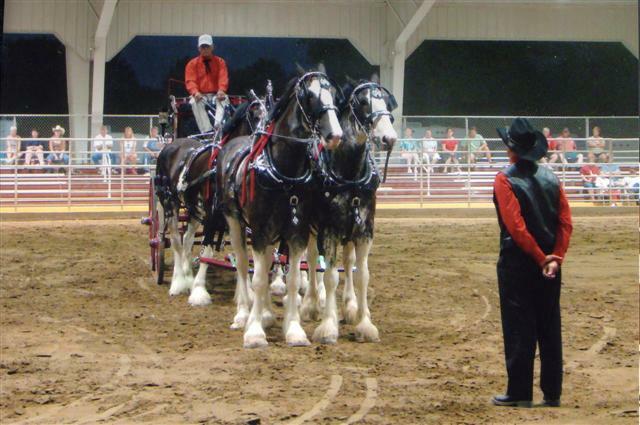 The Clydesdale has a distinctive look when compared to other draft breeds with vivid body colors, bright white faces, and long white “feathered” legs, with a high stepping gait. 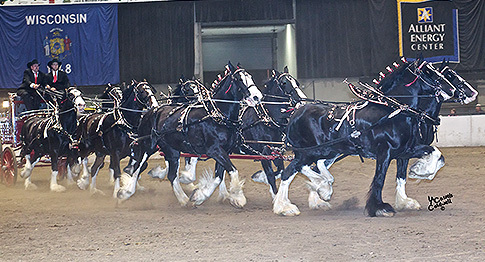 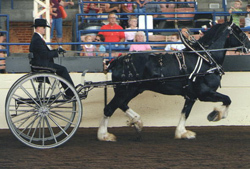 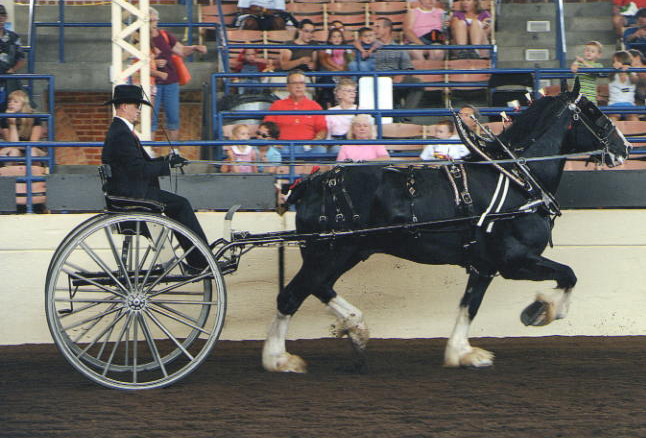 They are shown across the world in hitch and halter competitions and are gaining increasing popularity in both Western and English riding competitions. 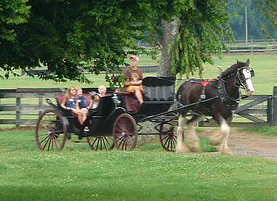 The common color is bay followed by black, brown, and chestnut. 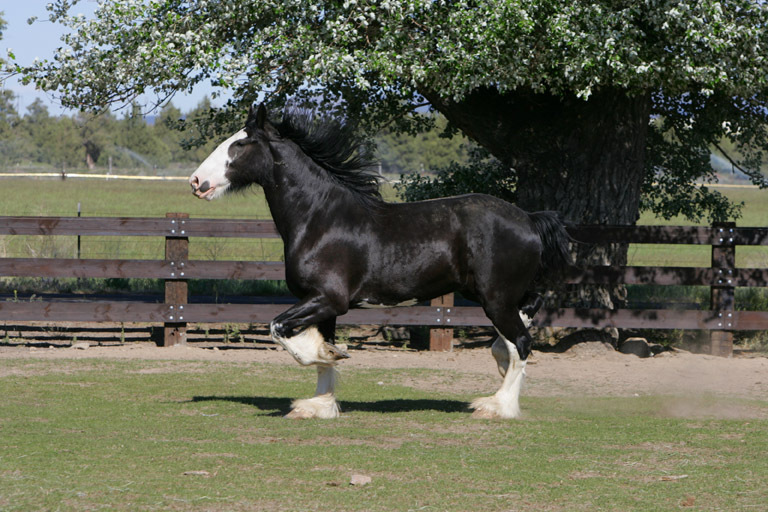 They are characterized by the terms “strength, agility, and docility”. 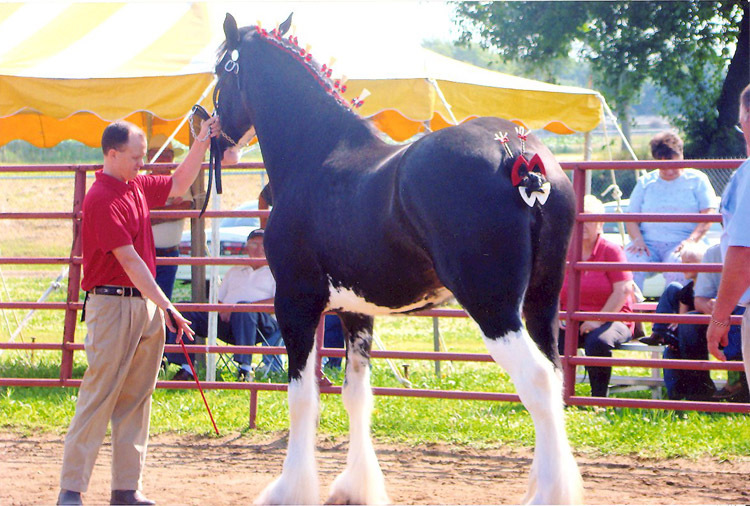 They are also described in many circles as “gentle giants”.